Rays outfielder Kevin Kiermaier made a splash at Northeast High School in St. Pete to promote safe swimming. 75 swimmers received medals for passing their swim safety tests this summer. 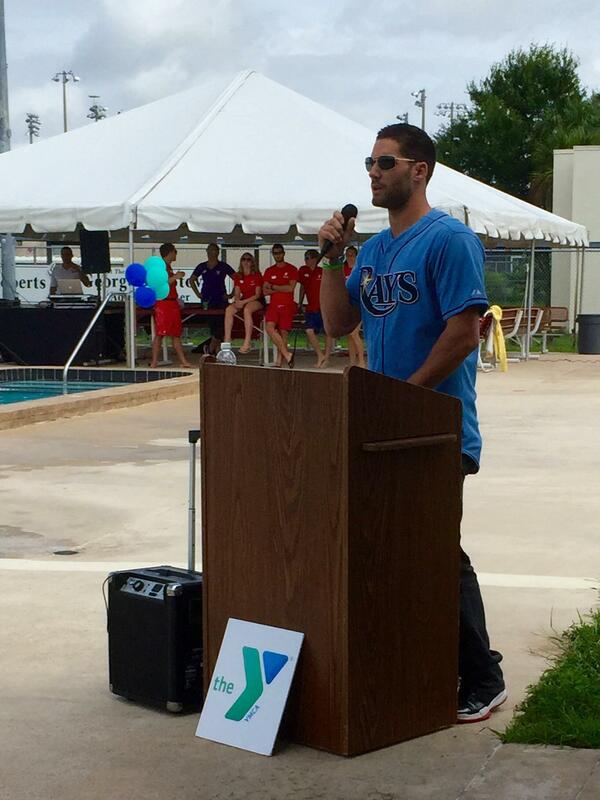 Kiermaier congratulated swimmers for their success and talked about the importance of the program in Florida, the state with the most drowning deaths of children under five. Snow cones, autographs, and dancing with DJ Kitty were all part of the morning's festivities. Nationally, Florida tops the charts for drowning deaths for children under five. 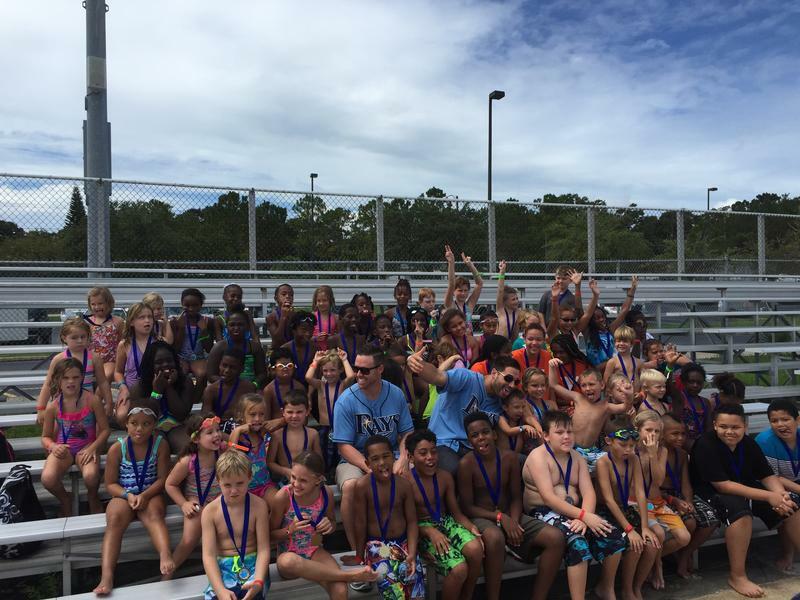 That's why the Tampa Bay Rays and the YMCA partnered again this summer to teach children in the Tampa Bay area how to swim. There was no need for water wings at the Northeast High School Pool in St. Petersburg on Tuesday, where 75 kids received medals for learning how to swim this summer. 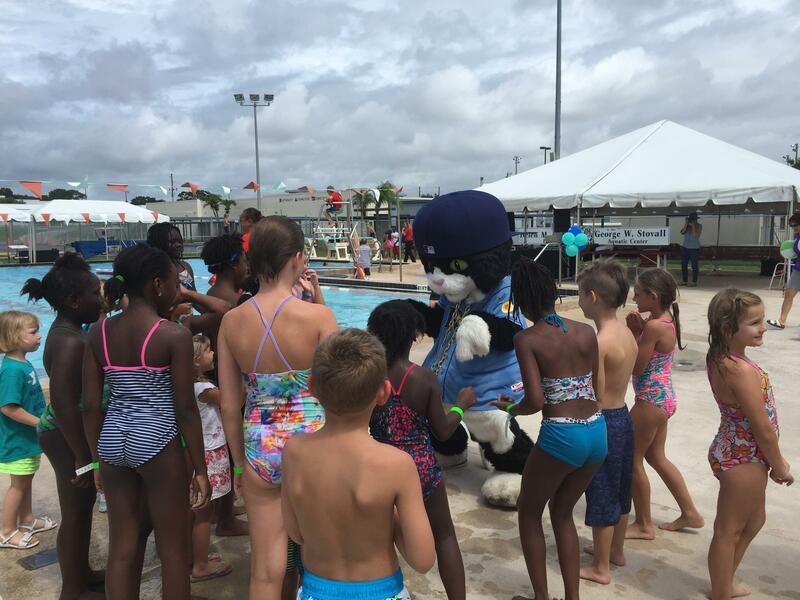 The event was part of an initiative called "Be Water Smart From the Start," a collaboration between the Rays and the YMCA to combat the ever-rising tide of drowning deaths in Florida. Rays outfielder and Water Smart spokesperson Kevin Kiermaier said for someone who loves to swim, the initiative hits close to home. 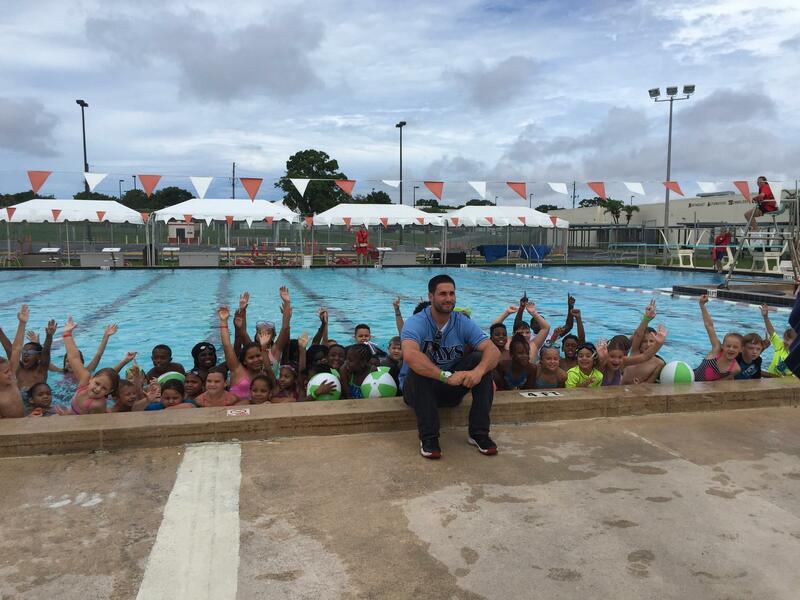 "It means a lot to me because I was always swimming when I was younger," Kiermaier said. "And it just reminds me of my childhood, you know back when I was doing stuff like this." David Jezek, CEO of YMCAs in St. Pete, said pool safety is relevant for all kids ready to take a dip. "We want to make sure that children have access to quality swimming lessons, and understand all the things they need to do around the water to be cautious," he said. So far, about 5,000 children have learned to swim through the program. The Tampa Bay Rays are involved with a lot of community service. Now you can add swimming safety to the list. 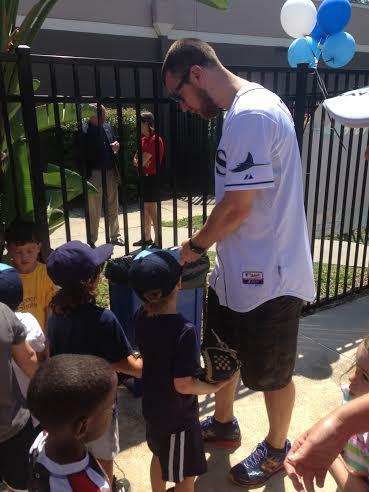 Rays second baseman Ben Zobrist stopped by the South Tampa YMCA today. 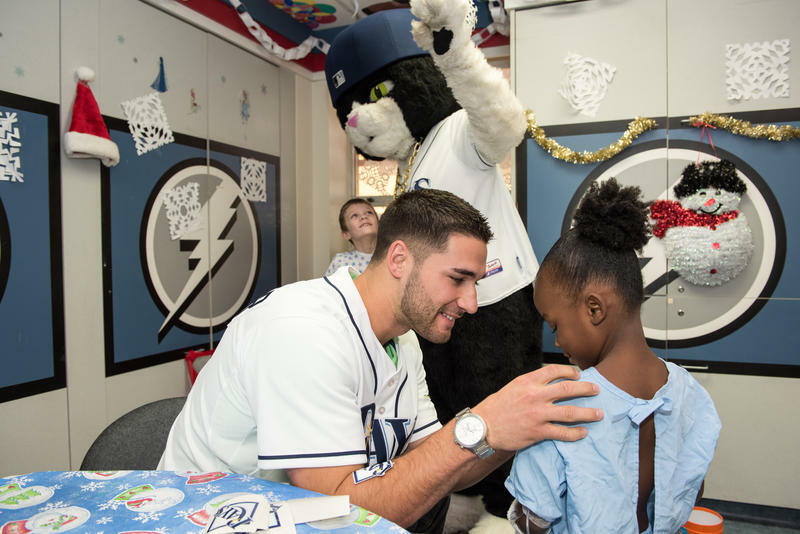 Tampa Bay Rays outfielder Kevin Kiermaier spent Thursday, Dec. 11 visiting pediatric patients at Tampa General Hospital. Tampa Bay Rays pitcher Alex Cobb is putting his stamp of approval on a new piece of protective head gear for young pitchers. Cobb draws a parallel between baseball and hockey when hockey players started wearing helmets.